I was in third grade when I asked my mother what book she'd recommend to me. "Ayn Rand's The Fountainhead or Atlas Shrugged," she said. "But those are long, hard books to read and understand." Intimidated by the sheer size of the book--more than an inch thick and about 600 pages or more--I settled for Nancy Drew. 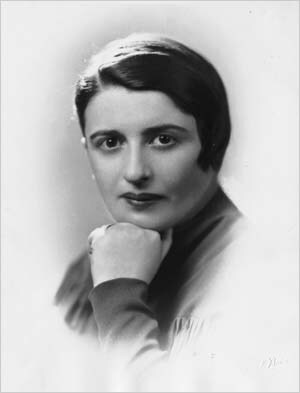 Ayn Rand was born on February 2, 1905 in St. Petersburg, Russia. She eventually migrated to the United States and began her writing career. Her novels catapulted her to success and popularity. Ayn Rand is a powerful writer, albeit an entertaining one. Her books are never boring; they have a story to tell. But what sets Miss Rand from the rest of the authors is that she is focused in getting her kind of philosophy across: objectivism. In college, my mother read Ayn Rand for pleasure. Instead of studying her textbooks, Nanay probably found herself absorbed reading about larger-than-life characters like John Galt (in Atlas Shrugged, 1957) and Howard Roark (in The Fountainhead, 1943). Curious what the fuss Ayn Rand was about, I bought a copy of The Fountainhead (the centennial edition) at the AS Walk, UP Diliman, for Php 200. That was two months ago. In the middle of my lab reports, I read the book gradually, one chapter after the other. I knew one thing: I was going to disagree with her. Her philosophy directly opposes Christianity. While she believes that man is the end unto himself, the Bible teaches that God is the chief end of everything. She believes that man's greatest purpose is his own happiness; that Bible teaches that his purpose is to glorify God and enjoy Him forever. After all, it is in God where man ultimately finds his own happiness. But Ayn Rand is a great writer. In The Fountainhead, Ayn Rand masterfully portrays her ideal, embodied in the character of Howard Roark. Roark is an architect who remains fervent in his beliefs, despite the ridicule of the entire world against him and his work. Rand weaves her philosophy into each plot. The philosophy is not just part of the story; it is the story. Yes, in a sense, man is great because he can build, he can write, he can change the world. But God is INFINITELY greater, and until you believe that, you are no less than a fool. Wikipedia currently says, "Pascal's Wager (or Pascal's Gambit) is a suggestion posed by the French philosopher Blaise Pascal that even though the existence of God cannot be determined through reason, a person should "wager" as though God exists, because so living has potentially everything to gain, and certainly nothing to lose." "The existence of God cannot be determined through Reason. Though all men are free to "wager" as though God does exist, they should take into account that Reason would have to count as God's crowning creation and gift to man. It endows man with the capacity to grasp everything that exists in the universe that God wants man to be able to know and the capacity to use that knowledge to perfect his life. They should consider the possibility that God would not want to be known, but rather would prefer to observe from afar what men can achieve on their own with the capacities he gave them. After all, God would not have given man Reason if he did not want man to use it in accordance with its function. Furthermore, any rejection of Reason, such as the arbitrary replacement of it by the Satanic anti-capacity of Mysticism to fabricate false ideas of the universe, or worst of all, false ideas of the nature or will of God, would most certainly constitute the most damnable sin. Thus: man would need only one commandment: I am the Lord thy God, thou shalt falsify neither gods before Me, nor the nature of Me nor My creations. Thus: there would be only one mortal sin: the rejection of God's Reason in favor of Satan's Mysticism. Thus: in the end, Heaven would necessarily be occupied by God and all of the rational atheists who ever existed. Thus: all who abused the rational minds God gave them and stubbornly clung with nothing more than faith to religions that worshipped allegedly revealed gods would necessarily reside with Satan in the fires of Hell for eternity." Thus: it would perhaps be better not to "wager" on the existence of God after all. Bottle Brain says only a fool uses reason. I like Michael's take better. But can you copyright without your last name? I guess the reason that I find Objectivism interesting is that it sounds almost Christian. It tells individuals to progress, to improve, and to become the best of what they can be regardless of what the world may think. If this does not reek of Calvinistic elements, then I don't know what does. The difference, however, between Objectivism and Christianity is the role God. Whereas Objectivism argues for the fulfillment of progress for progress's sake or for the individual's sake, Christianity** encourages progress for the sake of glorifying God. Because of this paradigm, Christians do not see progress as a source of guilt. For them, striving for excellence in such mundane activities as studying and amassing wealth is as sacred as praying and fasting --they are only developing and utilizing their God-given talents as God wants them to do. See Max Weber's The Protestant Work Ethic and the Spirit of Capitalism for a better explanation of this, or better yet read the Bible specifically 1 Cor 10:31. If God is taken out of the context of Christianity, then other philosophies such as Objectivism take over. With Objectivism, progress is then taken as an end to itself. The individual is then lifted up to take the place of God so that the individual alone reaps the benefits along with the glory that comes from progress. **I am referring here to the Reformed Protestant tradition here. That book was titled ANTHEM.